Patricia Medina and Jimmy Hanley star in this 1940s romantic comedy. Working-class girl Joan Dodd (Medina)'s plan to marry Jack Fowler (Hanley) is thwarted when her mother, Gladys (Ellen Pollock), interferes. Hoping to improve her daughter's social status, Gladys arranges for Joan to wed her boss Adolphus Pickering (Claud Allister) while Jack is away at war. Jack arrives home to discover his love is engaged to another man. Whom will Joan decide to marry? 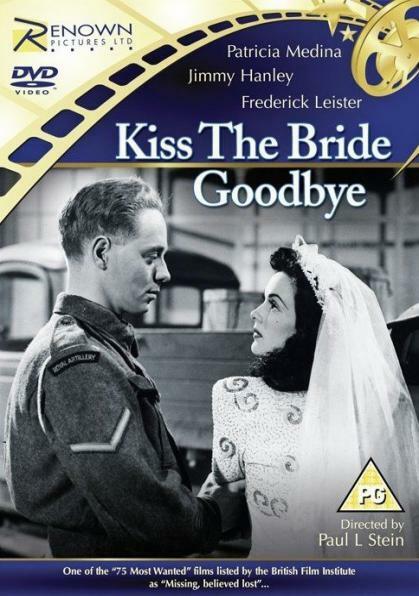 Featuring: Kiss the Bride Goodbye (1945).